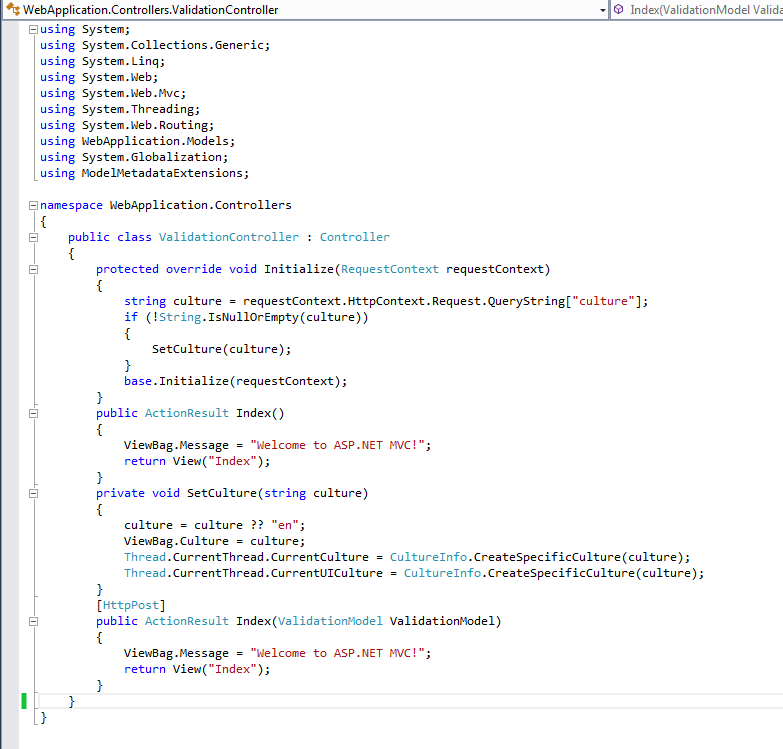 ASP.NET MVC has default facility for DATA ANNOTATION to provide validation. 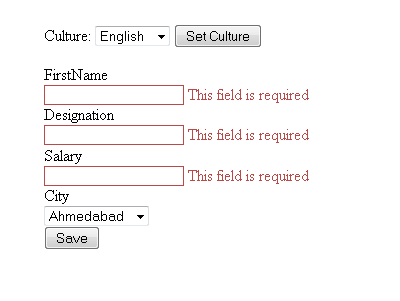 If you want to set your validation message as localization means when culture change, your validation message text change as per culture. 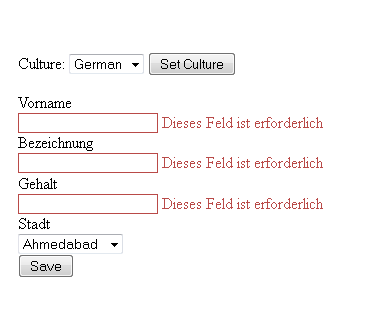 You can also change label text with the change of culture. Let’s see step by step. 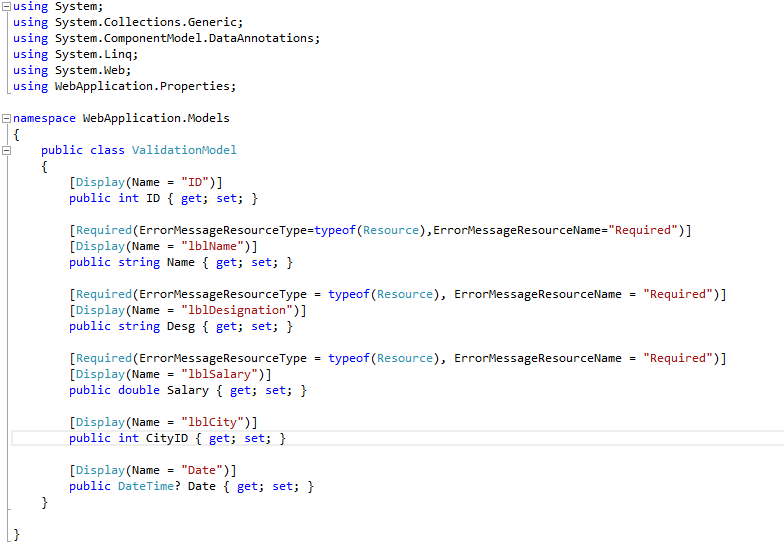 -->ErrorMessageResourceType sets type created by build provider. I added WebApplication.Properties. -->For display label sets label name from resource file. 4. Sets Global.asax file for URL routing. This information was o helpful. Wow excellent article. This will be more benefit for the asp.net beginners. and please keep update like this information. I read this articles really awesome.You provided another one great article.The programming was very easily understand and more important coding are provided on this post and this is very valuable in my studies. Nicely written post. I am just about to start a new blog and there could not have been a better guide than this one for some good pointers. I am looking forward to starting a successful blog after reading this incredibly useful post of yours. Waiting for more such posts like this. Really nice and i got some valid information. Thank you for that and please keep update like this information. All of these tips are great, that’s very interesting.Thanks for sharing that valuable information. Wow amazing i saw the article with execution models you had posted. It was such informative. Really its a wonderful article. Thank you for sharing and please keep update like this type of article because i want to learn more relevant to this topic. Really nice and i got some valid information. My husband is a programer and he will explaint to me the things that I don't understand. This is an incredible article that allows you to learn more about programming Share it with my husband, he is going to be very useful in his work. Very nice and detailed written this post. I behold a very clear, even taking into account the fact that I do not have extensive knowledge in this subject. This blog is helpful, keep sharing. Thank you. Really great blog, it's very helpful and has great knowledgeable information. Thanks for sharing. Good enlightening article. A debt of gratitude is in order for sharing such pleasant article, keep on up dating such great articles. This has much useful and interesting guidance for freshers who are looking to upgrade the skills with Dot Net. Thank you. Thanks for sharing a valuable information to us. Thanks for your blog. They advised me one site for working on the Internet class play free casino games I tried a couple of days until everything is fine. I have 6+ years of experience in Microsoft Technologies like .Net(1.1,2.0,3.5), SQL SERVER 2000/2005/2008. 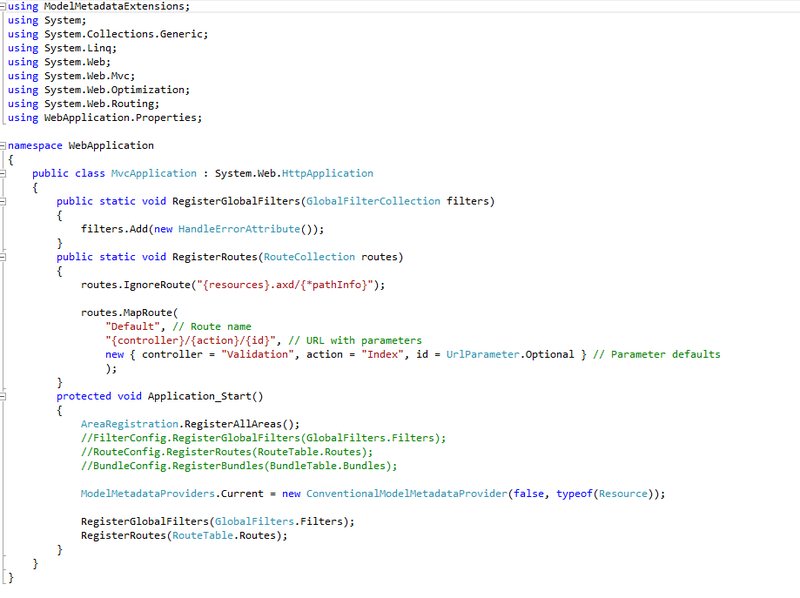 I am proficient in Web Development and SQL SERVER. I have developed many complex applications using .Net, SQL, AJAX, XSLT. I have also worked on SharePoint development using WSS 3.0 and MOSS 2007,MOSS 2010, share point designer 2007-2010. I am proficient in Database Mirroring, Replication and Service Broker with SQL SERVER. I am here to share my Experience with all tech guys. I am in the beginning for an endless journey of Information Technology.